One of the most important things when we write posts such as these, is how well it appeals to the wider audience. For that reason, it’s important for us to be able to define certain terms to readers that aren’t familiar with the subject material. So when we’re describing terminologies, we have to make sure the word we’re trying to describe doesn’t appear in its description. And if you didn’t understand that last sentence, then that proves our point entirely. We sure hope you know what compliance means. It seems Microsoft could have benefitted from a Thesaurus. In short, the Compliance Center is an admin tool to assist you in governing your services and data across the entirety of Office 365. It's there to help you meet your legal, regulatory and organizational requirements. The Office 365 Compliance Center grants you access to assign permissions, manage the lifecycle of your organization’s content, provide additional storage for your users, and so on. Despite this, many admins fail to use the full potential of the Compliance Center, if use it at all. In this post, we’ll be aiming to set that wrong right, and it starts with understanding exactly what the Compliance Center is made of. What's in the Office 365 Compliance Center? We’re sure you can hazard a guess at what most of these tabs consist of, but all include useful features that help you keep your company’s Office 365 compliance features running as smoothly as possible. (Or more specifically: In-Place Archiving) is a means for creating additional mailbox storage space for users. When archive mailbox is enabled, messages are automatically moved to the archive mailbox two years after the delivery date. Users can then access this mail through Microsoft Outlook. In-Place archiving also allows you to meet your organization’s eDiscovery, retention, and hold requirements (but more on that later). The eDiscovery cases are used to identify, manage and hold content in Exchange, SharePoint and OneDrive for Business. View your current eDiscovery cases, create new ones or delete the ones you no longer have need for. Retention is the management of all email and documents, allowing you to keep on top of what content is needed and what isn’t. Keeping content longer than required can cause unnecessary legal risk; retention features let you make sure you don’t fall victim to such cases. Import data files to your SharePoint Online organization or import PST files to Exchange Online mailboxes. You can upload both types of file over the network or copy them to a hard drive and send it to Microsoft datacenter. OrganizationManagement: Control Office 365 user permissions for accessing features in the Compliance Center, as well as managing settings for auditing, device management, data loss prevention, reports and preservation. ComplianceAdministrator: Manage settings for auditing, device management, data loss prevention, reports and preservation. eDiscoveryManager: Perform searches and place holds on mailboxes, SharePoint Online sites and OneDrive for Business locations. 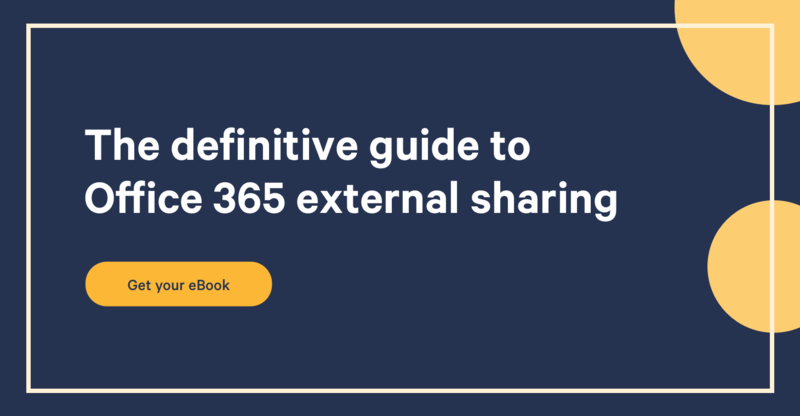 What we hope we’ve provided in this post is a clear overview of what the Office 365 Compliance Center is. So the next time your boss comes to you with a puzzling look, asking about governance and organizational requirements in Office 365, stand tall and be confident in knowing what compliance is, what’s involved, and take the chance to impress. To what extent have you used the Compliance Center?